The X-Files gave its fans many sleepless nights with its assortment of beasties, baddies and monsters. Here are the ones that scared us the most. This seems like a suitably creepy end to our X-Files week. Happy 20th anniversary, everyone! A baddie so bad, our intrepid agents fought him twice, first in season 2's "Irresistible" and again in "Orison" in season 7. Chris Carter originally imagined Donnie Pfaster as a necrophiliac; Fox network execs promptly shot that down. But lemme tell ya, Pfaster's freaky death fetish was almost as bad. His crimes shake the normally unflappable Scully, and it's tough to watch our favorite agent struggle to keep her emotions under control as she and Mulder track him down. 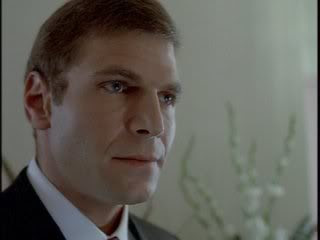 When Nick Chinlund appeared years later on an episode of Gilmore Girls as a flirty Chilton parent, all I wanted to do was scream at my television, "Run, Lorelai! He'll make you wash your hair, then paint your nails and MURDER YOU." Oh God, he's got the ice pick! Get out now! Ugh. UGH. 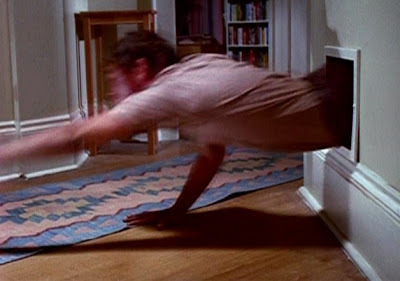 The ice pick lobotomizer with the creepy leg stilts from "Unruhe" freaked out my college BFF and I so much that we were paralyzed by fear in front of the TV, unable to move because we were preeeeetty sure Gerry Schnauze was waiting for us in the next room. Taylor Pruitt Vance, with his weird shifty eyes and his tubby physicality, made for a terrifying German-speaking lunatic. Years later, when I came home to find that the guy fixing my basement ceiling was wearing identical leg stilts, I almost sprinted out of my house. This is even scarier than clowns. He was little, but he was terrifying. In "Humbug," this malformed twin lived on his brother's chest and would occasionally go for a walkabout ... to eat people. It was a shocking — and disgusting — reveal in an episode full of circus curiosities. This boy just ain't right. 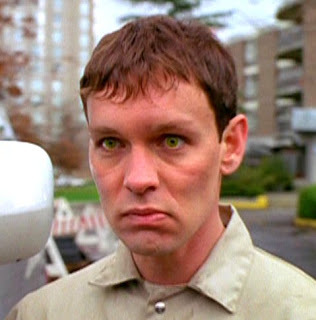 Eugene Victor Tooms was introduced in "Squeeze," the show's third episode. 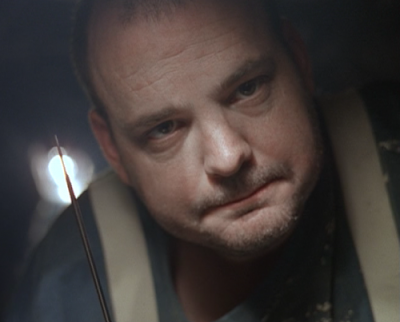 Tooms was the show's first truly scary monster, and Doug Hutchinson played the liver-eating immortal as someone who quietly, efficiently and remorselessly targets and consumes his victims. And that's to say nothing of the fact that he can easily get into any locked and sealed room, including the one you're reading this in right now. The fact that Hutchinson gets through the episode with basically no lines but still oozes menace in every frame is a credit to the actor. The terrifying, terrifying actor. That last image in "Tooms" of his creepy smile as he focuses on the slit in his cell door? Chills. 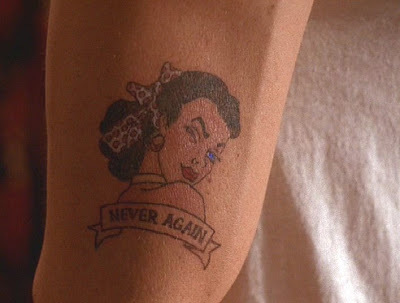 In "Never Again," Jodie Foster voiced the the sailor lady tattoo whose hallucinogenic ink convinces Ed, an angry divorced father, to commit violent acts against the women in his life. Unfortunately, one of those women is Scully, who unwisely spends the night with Ed after getting her own tattoo. Foster brings icy menace to what could have been a fatally goofy premise, and the premise of a normal guy hearing voices that drive him to murder is terrifying. This episode also focuses on discord between Mulder and Scully, which in part leads to Scully embracing the darker aspects of her nature, and it all combines into an unsettling hour of television. I mean, just look at him. LOOK AT HIM. Ah, the Peacocks. I don't know which was scarier: the ultraviolent brothers with faces only a mother could love,* the matriach who lived under the bed, or the fact that the family's house had no indoor plumbing. 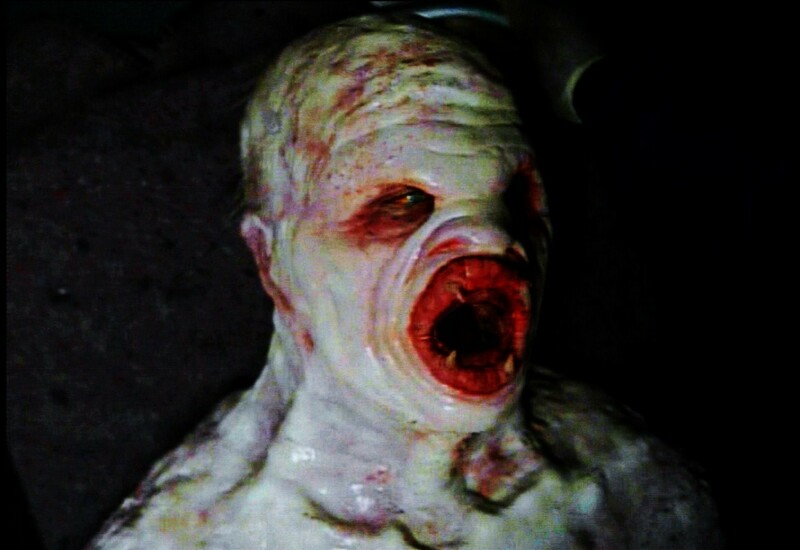 The monstrous group were the villains in what is probably The X-Files' most infamous episode, "Home." Partially based on a true story involving Charlie Chaplin, "Home" was the tale of the uneducated, incestuous Peacock family and the neighbors' discovery of the corpse of a deformed baby. The episode was so shocking at the time that it was banned from rebroadcasting by the Fox network. Now, even 17 years later, the horrific family is still creepy as hell. *Yes. Yes, I went there. Save us from the scary childrens! "Eve" was the first episode I watched of The X-Files, and to this day just thinking about it makes me want to huddle under a blankie. Killer psychotic clone kids — that sums it up. 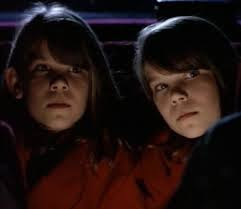 The adult clones were freaky enough (and Harriet Harris did an excellent job as the adult psycho Eve), but evil kids? Where's my blankie? Crap on a cracker, I still remember this scene. And I've seen this episode once. In reading these posts over the last week I have realized, I have no memory of season 7 whatsoever. None. For me, the creepiest villain was the Indian man that dragged himself around on the cart with the creaky wheels in Badlaa (season 8).... shudder!